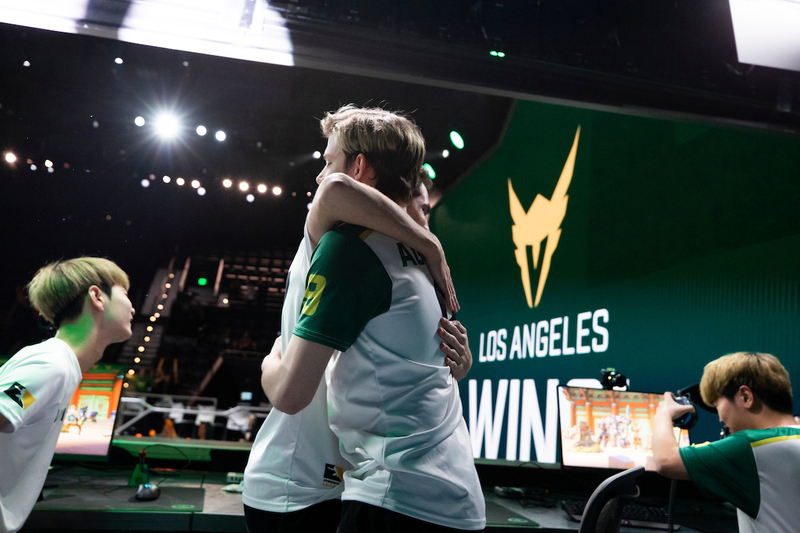 According to reports from Ben Fischer and confirmed by ESPN, the 2019 Overwatch League season will air on Disney's family of networks, including ESPN, ABC and Disney XD. Specifically, the semis and finals for the first 2 stages of the season, and the All-Star Game, will air on ABC. ESPN2 will carry stage 3 finals, and Disney XD will air 3 games weekly, 1 on Thursdays and 2 on Sundays. That's it for linear. All matches will be available to view on the ESPN app. Three matches per week will be broadcast on Disney XD, with the the final match each Thursday beginning at 11:30 p.m. Eastern along with the first two matches every Sunday starting at 3 p.m Eastern. The semifinals and finals for Stages 1 and 2 as well as the All-Star Game will air on ABC. ESPN 2 will broadcast the Stage 3 finals. The broadcast schedules for Homestand Weekends, season playoffs and the finals will be announced at a later date. All matches throughout the season will be broadcast on Twitch. The Overwatch League and Twitch are on the second year of a two-year deal that guaranteed Twitch and Major League Gaming -- a streaming platform owned by Activision Blizzard -- would have exclusive streaming rights to the Overwatch League. Currently, a preseason Community Countdown is underway featuring a number of Overwatch streamers, including ZP Jayne, and ChanmanV. The regular season of the Overwatch League play begins on February 14. There's always something that leaves me perplexed about these initiatives, and mind you I'm past 40 so yes grew up with no internet, but what has "television" to offer to OW (the game and its scene, not Activision/Blizzard as a company) in the current age? Viewership? What's the target age for an esport, how many of the people inside that target age do actually watch "TV" and not Twitch or any other form of online media platform? I'm not complaining, in the end OW is their toy, they can rightfully do with it whatever they prefer, and I know money talks, and that TV rights are still worth a ton of money, but where is all that money going? im not really fan of this forcing e-sport on tv but see how this goes. i remember once csgo / dota major broadcasted on tv and they had not even 10% of the twitch viewers.